The Big Book serves as the foundation for the Alcoholics Anonymous 12-Step program, the world’s largest alcoholism support group. Outlining the steps and traditions that make AA famous, as well as numerous stories about recovering addicts who have been through the process, the Big Book has helped guide millions into a life of sobriety. Commonly referred to as the Big Book, Alcoholics Anonymous: The Story of How Many Thousands of Men and Women Have Recovered from Alcoholism is the primary basis for Alcoholics Anonymous, or AA. Originally published in 1939 by author and AA co-founder William G. Wilson (Bill W.), the Big Book earned this nickname because the pages of the first edition were exceptionally thick. The Big Book is one of the best-selling books of all time, with over 30 million copies in print. The Big Book has been honored as one of the most important American books by Time Magazine and the Library of Congress. The Big Book provides background on the history of AA, including the founders, Bill W. and Doctor Bob. The book details stories of other recovering alcoholics who have found sobriety through the program as well. The Big Book also provides other information and methods of support for alcoholics and their families. However, the Big Book is best known for outlining the 12 Steps and 12 Traditions that form the basis of AA. These processes have been followed by millions of recovering alcoholics around the globe, and are the primary reason AA is the world’s largest substance abuse support group. The success of Alcoholics Anonymous has been emulated by hundreds of other support groups, not just for alcohol, but for dozens of other addictions, such as narcotics. Many of these groups utilize their own 12-step model, or were designed to find alternatives to the 12-step model. In this regard, the Big Book can rightfully be viewed as one of the most important and influential works of literature in history. According to AA, the 12 steps are a process that recovering alcoholics must follow to successfully achieve and maintain sobriety. Many of these steps mention God or a higher power, but they do not specifically apply to any single faith. Rather, they can be applied to any deity, or in the case of agnostics, the universe as a whole. While these steps are designed to be largely sequential, all of them are continuous and ongoing. Many of these steps are ideally taken with the help of a sponsor, an individual who has gone through the AA program and helps a new initiate as they navigate their newly found sobriety. 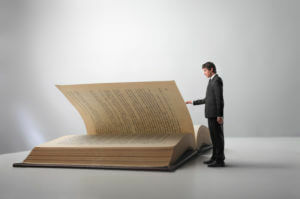 Each step is detailed in depth in the Big Book, but here is a general overview of all 12. The Personal Stories section of the Big Book details accounts of the struggles of AA members with alcoholism and their subsequent attempts to find sobriety through the program. These accounts are generally related in the first person, in much the same manner as AA meetings are held. These stories serve to show alcoholics that they are not alone in their struggles and to show them that others have overcome these same struggles. 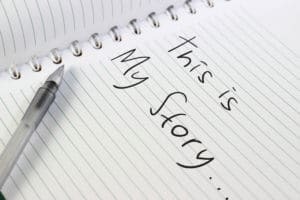 In many ways, the Personal Stories section functions as a guide to those seeking sobriety. The Personal Stories section does not detail the life of author Bill W. He relates his own journey in the first chapter of the Big Book. This section relates 10 stories from some of the earliest members of AA. These were some of the earliest people to go through the program. At the time of writing, all 10 had already died of natural causes, having maintained their sobriety until their deaths. The most notable account in Part 1 is that of Doctor Bob, who co-founded Alcoholics Anonymous along with Bill W.
This section shares 17 stories from individuals who “did not hit rock bottom.” These men and women realized that they had a serious problem with alcohol, or that they were on the verge of having a serious problem. Rather than continuing their plummet into the abyss of alcoholism, they turned to AA to stop themselves before they ruined their lives. AA spared them from serious, and possibly irreparable, damage to their careers, personal relationships, and health. This section provides 15 stories from AA members who suffered from “alcoholism at its miserable worst.” These men and women experienced terrible consequences from alcohol, often losing everything that mattered to them as a result of their drinking. Some were hospitalized, institutionalized, and even jailed. Some were on the verge of death. However, all managed to find sobriety through Alcoholics Anonymous and maintain it for many years. Unlike the 12 Steps, which primarily guide individuals to sobriety, the 12 Traditions govern AA itself. These traditions detail the governance of AA. They detail how AA groups should operate and provide rules that they must follow. Most of these rules are designed to protect the independence and anonymity of Alcoholics Anonymous, and to ensure that members are able to receive the support and information they need to stop drinking. They also seek to ensure that Alcoholics Anonymous remains focused exclusively on helping members stop drinking and open and welcoming to any who seek help through the organization. Tradition 1: Our common welfare should come first; personal recovery depends on AA unity. Tradition 2: For our group purpose, there is but one ultimate authority – a loving God as He may express Himself in our group conscience. Our leaders are but trusted servants; they do not govern. Tradition 3: The only requirement for AA membership is a desire to stop drinking. Tradition 4: Each group should be autonomous except in matters affecting other groups or AA as a whole. Tradition 5: Each group has but one primary purpose – to carry its message to the alcoholic who still suffers. Tradition 6: An AA group ought never endorse, finance, or lend the AA name to any related facility or outside enterprise, lest problems of money, property, and prestige divert us from our primary purpose. Tradition 7: Every AA group ought to be fully self-supporting, declining outside contributions. Tradition 8: AA should remain forever nonprofessional, but our service centers may employ special workers. Tradition 9: AA, as such, ought never be organized, but we may create service boards or committees directly responsible to those they serve. Tradition 10: AA has no opinion on outside issues; hence the AA name ought never be drawn into public controversy. This chapter details many aspects of alcoholism and the impact it has on the lives of alcoholics and their loved ones. This chapter details how atheists and agnostics can successfully participate and gain from Alcoholics Anonymous, despite its spiritual focus. Based on the belief that working with other alcoholics, both current and recovering, helps alcoholics recover, this chapter details how to help those seeking sobriety. Most of the language in the Big Book is male-centric, as most early AA members were male. This chapter focuses on the impacts of alcoholism on spouses, both male and female. The founders of AA knew all too well the damage that alcohol can do to a family. This chapter relates how to deal with an alcoholic family member and how the recovering alcoholic should handle the impact of their addiction on their family and other close personal relationships. Recognizing the extreme impact of alcoholism on an individual’s professional life, this chapter details how an employer should handle an employee’s alcoholism. Is Alcoholism a Problem in Your Life? Alcoholism is a crippling condition that severely impacts entire families. If you or someone you love can’t stop drinking, the Big Book is a great place to start. However, for many, it isn’t enough. This is especially true for long-term and severe alcoholics, who may go through painful, and even potentially deadly withdrawal if they stop drinking. Luckily, there are thousands of treatment facilities across the country that specialize in helping alcoholics get through the worst of times so that they can begin living their sober lives. Contact a dedicated treatment specialist now to find the right rehab for your situation.